Why chose to study arts and humanities subjects? 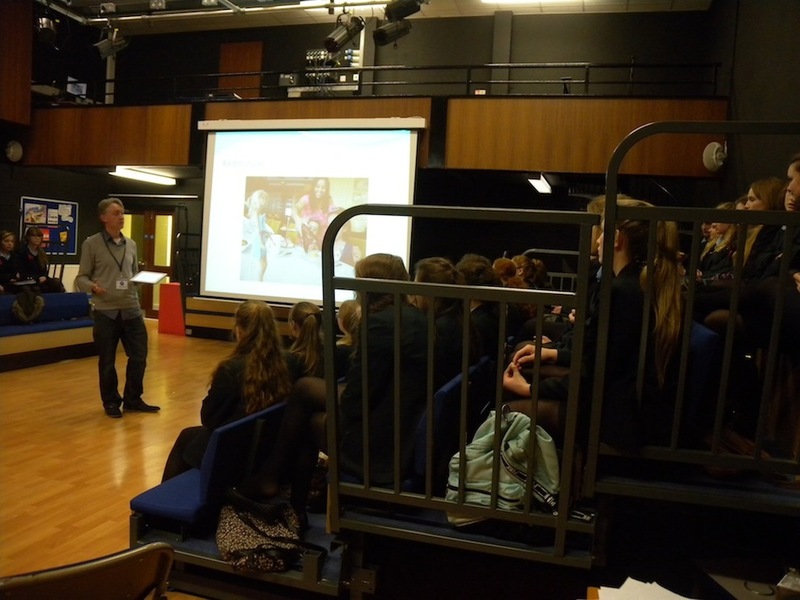 That was the theme of a careers talk I led this week for Wirral Grammar School for Girls. The groups of teenagers aged 14-16 are currently considering what subjects to study at A Level. The majority opt for maths and science but, over three sessions, I looked at why an arts strand of study is equally important. I also quoted the recent article from The Independent, whereby the comedian Josie Long took Education Secretary Nicky Morgan to task for her “immense, ingrained snobbery” about the arts. I went on to talk about how this area lends itself to flexible working and freelance contracts, a hugely growing sector of the economy. Liked this? 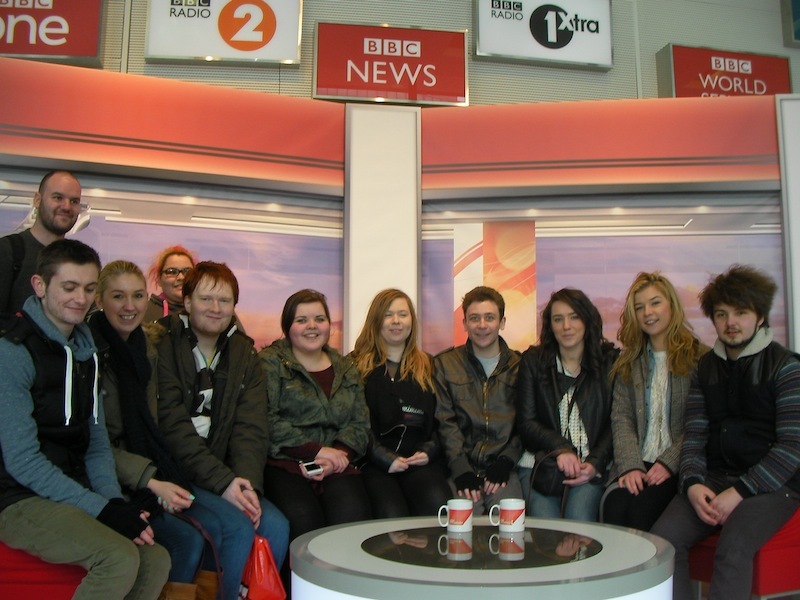 Try also National Freelancers Day: A talk for Leeds University Media students. Do you agree that choosing arts and humanities can help secure your future career? Share your thoughts below. It was National Freelancers Day this week. I marked the day with a return trip to my old alma mater, Leeds University, to talk to the media students [pictured above] about going freelance and travel writing as part of the #LeedsMediaFutures series. 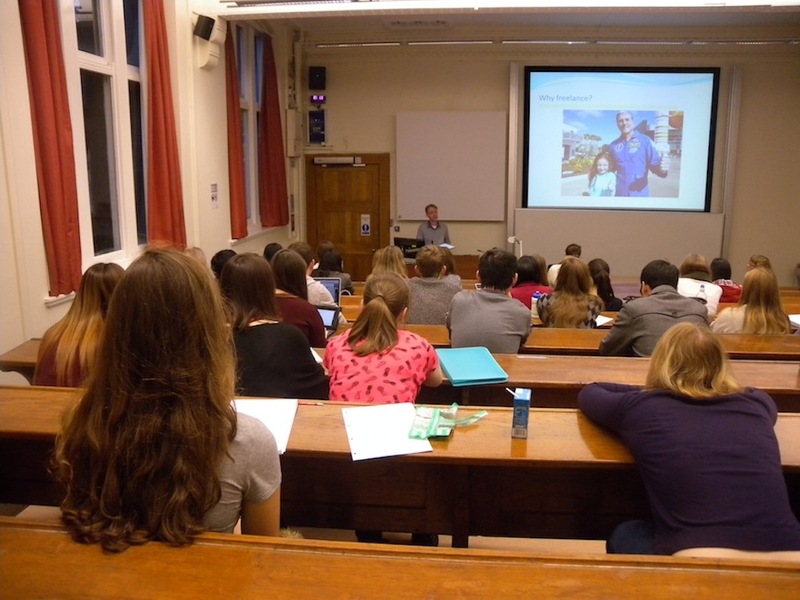 It was a sparky session, comprising both post- and undergraduates, with lots of good questions. I’ve got a real soft spot for Leeds. My first ever published article was a review of a Mudhoney gig at Leeds University in 1992 and my time working for the Leeds Student newspaper helped me to build my portfolio of cuttings. This in turn helped to secure me a place on a postgraduate journalism course in London back in 1994. What tips would you offer a student journalist looking to go freelance? Share your comments below. * An edited version of this story is due to appear on the Guardian Higher Education Network. The students are back on campus this week. But, instead of uploading schemes of work and heading to class, I’ll be clearing my desk. I’m leaving a contracted role as a university lecturer to go it alone, offering my services as a freelance tutor [pictured above], setting up my own day courses and developing e-learning projects. It feels scary. On a practical level I’ll miss the resources of having a university behind me while, emotionally, the isolation of working without a community of trusted colleagues to share the day-to-day travails feels pretty daunting. But I feel increasingly frustrated by the lethargy of the university environment, the gear-grinding bureaucracy of decision-making and the nit-picking interference of senior management. According to Jon Richards, trade union UNISON’s National Secretary Education and Children’s Services, I’m not the only one. Dr. Neil Thompson left a job as Professor of Applied Social Studies at Staffordshire University in 1997 to go freelance. 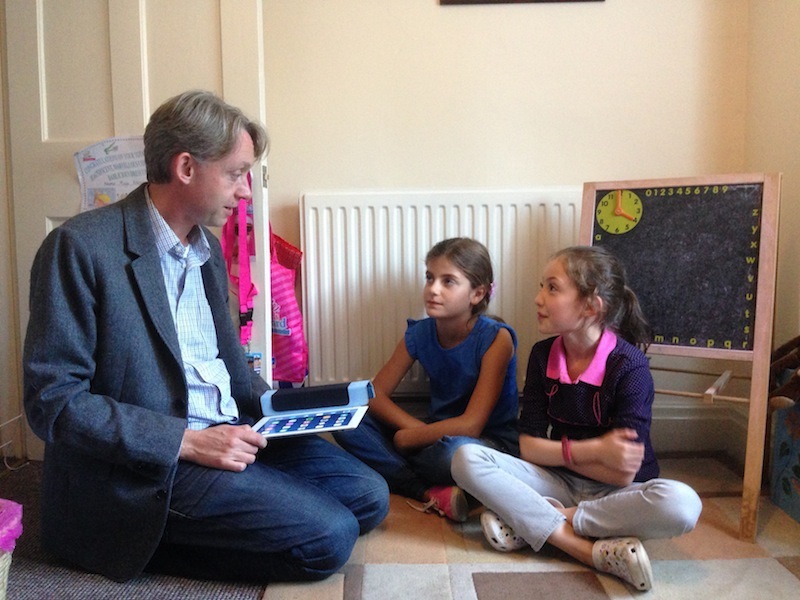 He set up his own business, offering training, consultancy and expert witness services. “I walked away from university employment but carried on doing academic things, such as working as an external examiner and being part of an editorial board for an academic journal,” he explains. He offers three pieces of advice for lecturers looking to make the leap: establish a market for your services, act as a professional and build a freelance career around a diverse portfolio of work. For Roger McDonald, an independent curator and lecturer based in Japan, the evolution of technology has enabled him to carve a new niche. Roger, who did a PhD in art history at the University of Kent, Canterbury, moved to Japan in 2000 as a founding member of the not-for-profit Arts Initiative Tokyo (AIT), which runs an independent art school in Tokyo. He combines this with casual work as art lecturer at Tokyo Zokei University. He teaches contemporary and modern art history in Japanese with sessions available to watch free online via YouTube. “It took time getting used to recording myself but now there is a substantial archive available online,” he says. “For me, I enjoy thinking up a curriculum outside the remit of ordinary institutional teaching, such as like a course on hallucinogenic drugs and modern artists. The downside is less peer group discussions than in an institutional setting,” he adds. From my own point of view, I’ve tried to prepare myself for change by putting the word out through my professional network, contacting a broad range of organisations from schools to higher education via corporate clients to offer my subject expertise, and updating my website and social media channels to reflect my plans. I also signed up to a local co-working group, taking a hot desk in a communal space with a seminar room, where I intend to run my own masterclass sessions. I hope this will provide me with a new support network, albeit one with a broader community of micro-businesses from IT to publishing. To be honest, the diary still has lots of blank pages and the creeping sense of unease still gives me some sleepless nights. I know it will take time to build up my business and I’m in this for the long haul. I’ll admit to a twinge of sadness as pack my things this week, take a deep breath and step into the unknown. But whatever happens, I’ll be the master of my own destiny. Matthew Draycott is not planning to mince his words. When the new undergraduates arrive for an induction-week pep talk on making the most of their time at university this September, the Enterprise Associate at the Centre for Entrepreneurial Learning plans to give them both barrels. The department where Draycott works aims to teach students about enterprise, making them more employable and inspiring many to start their own business. “The trend is for students to come to us earlier,” he adds. Of course, developing interests outside of your course is nothing new. From playing for a university sports team to chairing the debating society, one of the best aspects of undergraduate life has always been the chance for students to broaden their horizons. But with graduate unemployment currently at its highest level in over a decade, savvy students are increasingly realising that getting a job is not just about good grades, it’s about making the most of those extra-curricular activities. So you want to get involved. But what are the best options for you? Marsh says that, while traditional sports, politics and societies remain popular, he sees more students doing more community outreach work, especially at inner-city universities with more diverse students populations. During his own undergraduate days at the University of Hull, he volunteered with local schools and nursing homes for the elderly. Another growth area is student enterprise with students looking to use new skills from their course before they actually graduate. “Many students arrive at university not knowing what they want to do in life. You have to expose yourself to all aspects of university life, create your own personal value and build networks from the start,” she adds. Student-led NACUE works over 70 university enterprise societies across the UK and supports over 85 universities to stimulate student businesses. They recently advised on an Apprentice-style competition, led by students from King’s College London Business Club working with eOffice. Dhaliwal advocates the smart of use of websites such as Twitter and LinkedIn. “Social networking helps to build awareness amongst the wider student enterprise community. It offers a fast and efficient means for students expose themselves to new opportunities in career development,” she says. But perhaps the smartest students of all are the ones seeing the global picture. University courses in modern languages traditionally include a year of study or work experience overseas as a mandatory third year off campus. But recent research by the UK Council for International Student Affairs (UKCISA) estimates some 22,000 UK students are currently studying in other countries. Maastricht University in the Netherlands is fast becoming a hotspot for school leavers turning their backs on the British university system for its winning combination of lower course fees and grants available from the Dutch government if undergraduates work 32 hours a week while they study. Maastricht University has been sending representatives to a sixth-form careers days over the past year and is installing a fast-track admissions scheme for prospective UK students this summer. Back at the coffee bar, Matthew Draycott is finishing his latte and checking his Twitter account, his favourite way these days of engaging with students and communicating to them the latest news from the student entrepreneurship sector. “University offers you a privileged three years of flexible identity, so why not do something to put yourself in a position of authority? If you can’t play rugby, be the rugby club treasurer. If you can’t play lead guitar, start managing students bands,” he says. This story was first published by the Daily Telegraph in 2011 under the headline, University life: how to make the most of extra-curricular opportunities.